Picking up where we left off, Wes votes Jozea & Selita as the least valuable team, and we’re looking at Daniel “Booby” Gibson to follow his partner or give the vote to Champs Tony & CT. Booby casts the tie vote (5 points) by saying Jozea & Selita. The tie goes to the last elimination winner, Kailah. Naturally, she chooses Jozea & Selita. Not a good elimination for the Stars, as two will be knocked out. 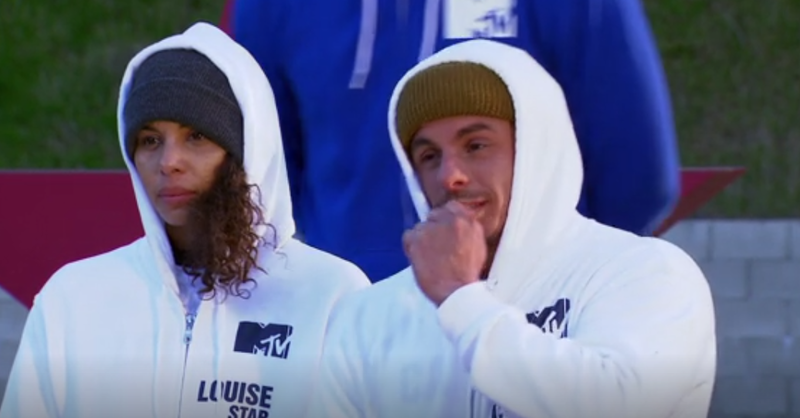 Louise & Casper are relieved because they are now going into a very winnable elimination. Shane wants to know what the Power Play is. Miz says it’s “advantage” and that Shane & Brooke will get an advantage at the next challenge. Meanwhile, CT & Tony are pleased that Wes can work his magic. Tori & Lil Mama talk on the side. Tori warns Lil Mama that they are next on the chopping block. The elimination is called Flip Cup and it’s flip cup. Each player has to flip three cups, then their partner goes for their flip cup. Then they go and flip a giant cup. Selita & Jozea vs. Louise & Casper. While this may seem like anyone’s game, Jozea is pretty bad at everything. Casper, however, doesn’t drink, so he has no flip cup experience. Louise flips her three cups before Selita, and Casper flips his three with no problem. Jozea is struggling because he’s really not very good at any of these challenges. With the giant cup, Casper struggles, but gets it. Jozea & Selita catch up a little, but Louise & Casper win (25 points each). Shane compliments Louise & Casper, hoping they won’t seek revenge on Shane & Brooke for voting them in. Shane is nervous. The next challenge is called Spot On. It’s about endurance. The bottom three teams will be on the chopping block this week. Each team has a climbing wall area game board. 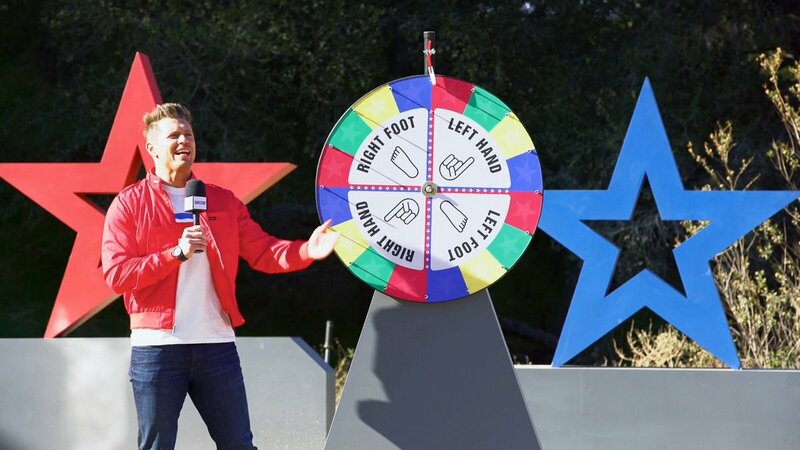 Miz will use a life-size Twister wheel to call out hand and feet commands to be followed by each team as they maneuver to stay on the wall. Shane gets to hear his Power Play – Advantage and removes three red cleats from the bottom row of Louise & Casper’s game board. Miz starts spinning the wheel. After the third command, Brooke and Tori fall. Drake and Kailah are eliminated next, making them the first team to lose. A fully stretched Lil Mama can’t hold on any more. Tony falls, too. Shane loses his grip next. The bottom three teams are now known: Drake & Kailah, Tori & Lil Mama, and Shane & Brooke. Now that he knows he won’t be in the bottom three, Wes exits. CT falls. Louise & Casper look comfortable and Daniel “Booby” Gibson is no quitter. Louise moves her foot. Shane yells (seemingly to production/Miz/Challenge overseers) that Louise is cheating (5 points for verbal attack). Louise yells back because Shane isn’t the referee (5 points for verbal attack). She wants an actual official to tell her she’s disqualified, even though she knows she is. After Miz makes the call that Louise is eliminated, Shane and Casper fight about it (10 points for verbal fight). Booby and Casper get a couple more moves in, then Booby misses a move. Louise & Casper win (15 points each). Louise selects Casper as their MVP (5 points) because he lasted the longest. In a mini-purge, Miz tells Casper that his MVP Power Play is eliminate. Casper gets to eliminate two of the three bottom teams. Not surprisingly, Casper opts to get rid of Shane & Brooke. Then he struggles with the other decision. He ends up selecting Tori & Lil Mama, since Drake was with him on the Blue Team. No hard feelings, but Lil Mama has an “Oprah moment” and almost cries. She’s happy and proud of what she’s done. Brooke thinks Casper eliminated her and Shane because he was intimated by them? Um, maybe it’s cause your partner cursed off Casper. Brooke was willing to let Shane take her as far as they could go. She got exactly what she signed up for. Jozea is not good at these tasks. Casper and Booby, however, are. Shane yells to Casper that at least he’s famous in his own right, not famous for sleeping with someone (J-Lo). But is Shane really famous? The Champs really have gotten screwed with the power plays this season. Shane gets an “advantage” (which is barely an advantage) and Casper gets the power to eliminate two whole teams. There’s only one episode before the finale. Four Champs and four Stars remain. How convenient. Does Casper get mvp points for last night?